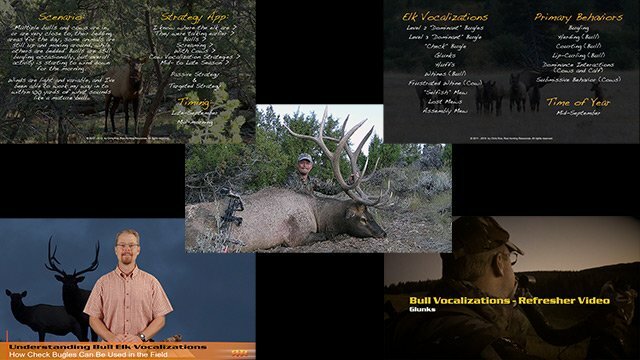 Stream our extensive library of educational videos on elk, deer, and turkey behavior, vocalizations, communication, habitat analysis and scouting, hunting techniques, the types of calls and how to use them, and more! We use the latest in internet streaming technology, which allows us to continue to improve and expand our video library, and enables you to view the content from any internet-ready device. Our content dynamically adapts to all screen sizes and network conditions in order to maximize site performance and your viewing enjoyment. 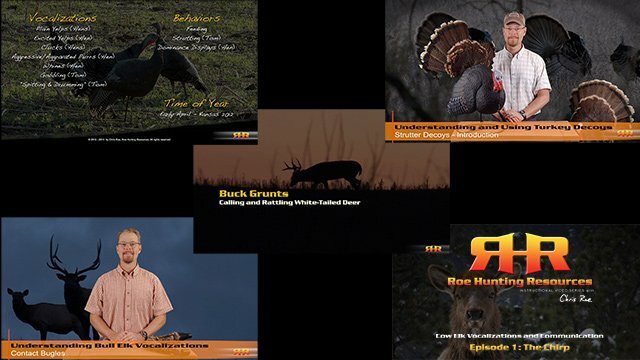 Get access to exclusive, subscriber-only forums where you can interact with Chris Roe and other hunters in a environment that is respectful and promotes learning at all levels. Does RHR offer a satisfaction guarantee? YES! We offer a full money-back satisfaction guarantee during the first 24 hours of subscription. If you subscribed in good faith but simply are not satisfied with what we have to offer, just contact us within the first 24 hours and we will issue you a full refund. Once I purchase, how quickly will I have access to the videos? Right away! As soon as your online payment is complete, you will have instant access to the videos via streaming right to your computer or internet-enabled wireless device. There is no waiting for us to ship a DVD to you - you get access right away! How long will I have access to the Full Access subscription? If you purchase the Full Access subscription, you will have a full year (365 days) of continuous unlimited access to all of the modules starting from the date you sign up. How long will I have access to the individual modules? For the quarterly modules (elk, deer, or turkey), you will have three months of continuous unlimited access starting from the date you sign up. NOTE: You cannot sign up for more than one individual module at the same time. If you want access to more than one module at the same time, consider the Full Access annual subscription. If I upgrade from an individual module to Full Access before the quarterly subscription expires, is it prorated? Unfortunately, we are unable to pro-rate based on the previous subscription level. If, however, you are so happy with the service you wish to upgrade within the first 72 hours of your individual module subscription, send us an email letting us know that's what you'd like to do. We will then refund the individual module price in full upon receiving confirmation you have upgraded to, and paid for, the Full Access subscription.